Sandy Alexandre’s research spans the late nineteenth-century to present-day black American literature and culture. Her first book, The Properties of Violence: Claims to Ownership in Representations of Lynching (Mississippi 2012), uses the history of American lynching violence as a framework to understand matters concerning displacement, property ownership, and the American pastoral ideology in a literary context. For example, in one chapter—on Toni Morrison’s Beloved (1987)—she asks readers to consider the gendered implications of seeing lynching iconography itself as a form of owned property. 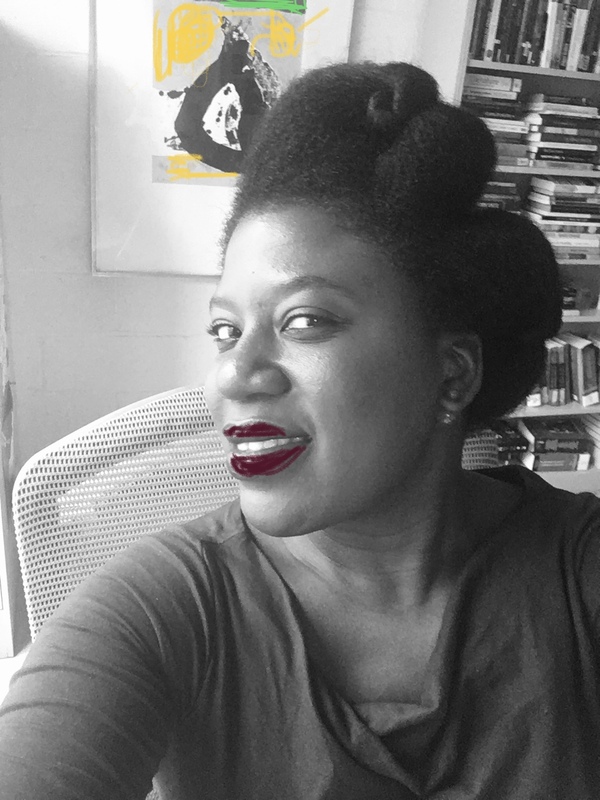 Sandy Alexandre is currently writing another book, Up From Chattels: Thinghood in an Ethics of Black Curation, which will take as its point of departure the premise that the former, enforced condition of black Americans as fungible merchandise can haunt, inform, and morally energize, to some extent, their very own relationships to material objects. This book will explore how some black Americans create what Alexandre calls a “culture of significance” with material objects. Using literary analysis, studying material artifacts, and engaging the work of black collectors, Alexandre argues that this improvised, curated, and eventually sacralized culture of subject-object relations constitutes an immanent critique of consumer capitalism. To think truly analytically about black-American material culture without resorting hastily to jeremiads about the so-called irreparable and vitiating influence of “bling bling” on that culture is to grant the possibility that, based on the sobering history and memory of black thinghood, some black Americans do engage in a practice of subject-object relations that can be, at once, political, ecological, spiritual and aesthetic. Overall, Alexandre’s work takes into serious account the ways in which an ecology comprised of people, places, and things can, at once, reverberate and attempt to negotiate the various instances of racial violence that mark the aggregate of U.S. history. Black-American literature and culture, race and visual studies, women’s & gender studies, performance studies, and material culture studies. “Lovesick in the Time of Smallpox: Romancing the State of Nature in Toni Morrison’s A MERCY,” Criticism: Vol. 59 : Iss. 2 , Article 4. “Adoption and Persuasion: Raising and Reckoning with Beloved,” Critical Insights: Beloved. Salem Press, 2015. “Culmination in Miniature: Late Style and the Essence of Richard Wright’s Haiku” in Richard Wright: New Readings in the 21st Century, Vol. II. Eds., Alice Craven, William Dow, and Yoko Nakamura. New York: Continuum Books. (forthcoming 2013). “From the Same Tree: Gender and Shared Iconography in Representations of Violence in Beloved,” Signs: Journal of Women in Culture & Society, Vol. 36, No. 4, Summer 2011: 915-940. “Surfeit of Influence: Listening as Retreat and Antidote in TopDog/UnderDog,” The Journal of American Drama and Theatre, 22 No. 3 (Fall 2010) 43-68. “‘[The] things what happened with our family’: Property & Inheritance in August Wilson’s The Piano Lesson,” Modern Drama, 52.1 (2009): 73-98. Interview-essay with Edwidge Danticat: “My Turn in the Fire,” Transition 93 (2003): 110-128. Annotations for Ralph Ellison, “Remembering Richard Wright,” “Letter to Stanley Edgar Hyman” and James Baldwin, “Going to Meet the Man” in Norton Anthology of African American Literature 2nd edition, eds. Henry Louis Gates Jr. and Nellie Y. McKay (New York: Norton, 2003): 1599-1617; 1750-1761. Rev. of Open Gate: An Anthology of Haitian Creole Poetry, ed. Jack Hirschman and Paul Laraque. Virginia Quarterly Review 78 (Spring 2002): 65-66. Rev. of From My People: 400 Years of African-American Folklore, ed. Daryl Cumber Dance. Virginia Quarterly Review 78 (Autumn 2002): 118. “Exiled” in The Butterfly’s Way: Voices From the Haitian Dyaspora in the United States, ed. Edwidge Danticat (New York: Soho Press, 2001): 174-187.